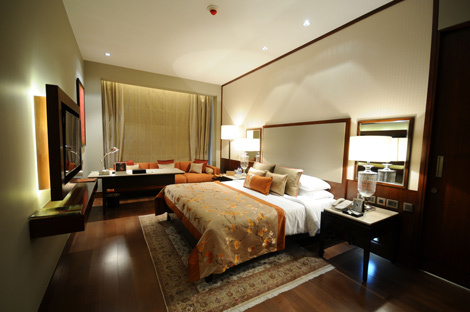 Taj Hotels Resorts and Palaces has opened its sixth hotel in Bangalore. The Taj Bangalore features 154 rooms including 12 suites and a presidential suite, and is located close to Kempegowda International Airport. Facilities include a spa, fitness centre and over 25,000 square feet of events space, with rooms leading onto landscaped gardens. Food and beverage options include 24-hour all-day dining at Cafe 77 East, authentic Indian food at Tamarind, and Asian restaurant Soi and Sake, as well as a wine bar and cocktail bar. The new property brings the group’s worldwide portfolio to 97 hotels in 61 locations. Earlier this month, the group opened a gateway property in Pune (see news December 10).